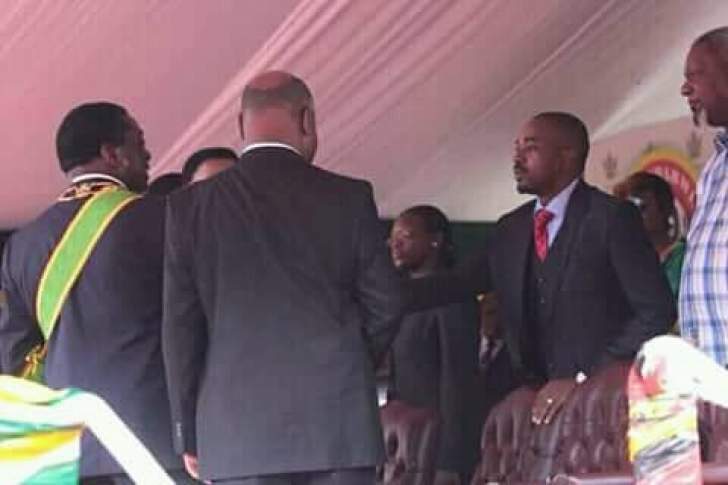 Chamisa has rejected Mnangagwa's victory despite the Constitutional Court (ConCourt) throwing out his petition challenging the result and has since maintained that he won the election, frequently calling his rival "illegitimate". Mnangagwa has reportedly offered an olive branch to his nemesis, saying he has "a vital role to perform in Zimbabwe's future" and proposed an official Westminster style "Leader of Opposition" post in Parliament for his rival to be part of the national discourse, but insists that Chamisa must recognise his Presidency. "Our hope is that political expediency will not jeopardise the possibility of fruitful dialogue. The challenges are not secret at all. They are open for everyone. The first issue is that the MDC (Alliance) leader has not yet accepted the officially announced results of the election, even after the verdict of the ConCourt," Mtata said. "There are challenges for him (Chamisa) to accept the result because it has been his rallying cry for his followers. But this is the problem for Mnangagwa, who says he cannot go into dialogue with Chamisa if he doesn't recognise him as President," Mtata told NewsDay. "Elections were held and (are) gone, and the opposition challenged the elections, but the Constitutional Court endorsed them (polls). What is the issue now? Let's look ahead in terms of our economic development, that is the challenge we are facing, the stabilisation of the economy in terms of our Vision 2030," Khaya Moyo said, adding Zanu PF was already setting its sights on the 2023 elections. The MDC leader's spokesperson, Nkululeko Sibanda, yesterday maintained his boss' stance. "The president still says his doors are open for dialogue, and he has a five-point plan, which must be part of any dialogue," he said, without revealing whether or not there was progress on the talks. Mtata, however, said ZCC's agenda was to find a common post-election national narrative in the country as well as to find a shared understanding of the role of the Leader of the Opposition in Parliament proposed by Mnangagwa. "This is a ministry of the church. We were given that ministry of reconciliation in the Bible, and we believe this is a core mandate of the church and this is the reason why we won't give up. On the other hand, I can say no, because we haven't moved fast enough." "The national question is always resolved by dialogue in Zimbabwe. Anyone who thinks only elections can make things right will have to check again because national questions cannot be resolved by a process that produces winners and losers, but by courageous people who choose to forgo their personal advantages and personal gains to seek the common good at a dialogue table," he said. "This is true in the past, present and future. If there are people who are waiting for the national question to be resolved by elections, then they can wait forever."